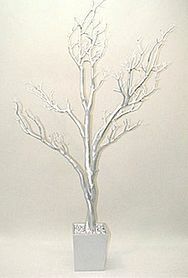 Below you will find instructions on how to create a Winter Wonderland with no stress and no hassle! 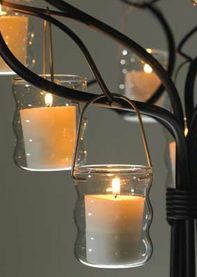 Scroll to the bottom of this page for more photos and for links to the items used to create this magical look. Decorating for an event does not have to be a scary nightmare. Life is stressful enough without worrying about how your Decor needs to be this, needs to be that. Let us do the stressing out for you. Here at ShopWildThings, one of our goals is to spend lots of time figuring out exactly how to make your party and events sparkle. We want our Decor to look great, and we know it needs to be easy to figure out. This Decor for this event was a snap to use. 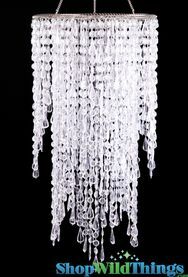 The hanging "lamps" are actually our hanging Decor without a lightkit! On the top of each we placed one of our LED Light Saucers, and just turned them on before guests arrived. The LED lighting in the trees and on the tabletop were also turned on right before the event. For the tables, we used 1 tree, 1 30' strand of very high quality acrylic beads, 3 glass candle holders (to hang in trees), and 3 round tabletop candle holders and 6 Acolyte LED Floralytes in Blue. For the ceiling, we had to work with a DROP CEILING! It's ugly but you can totally make it disappear by placing beautiful chandeliers all over the place. There are special hooks that you can get from the hardware store for drop ceilings. We placed a chandelier over each table and also here and there for additional air space "filler". In addition, we did clusters of chandeliers above the piano player, by the dessert bar, at the entrance, and on either side of the speaker podium. We placed an LED Saucer on top of each "chandelier". We did not use light kits, bulbs, or any kind of plug for any of the lighting. Everything was battery powered and LED which cuts down on looking for power outlets, and eliminated the worry about heat or flame. Below is the "Recipe" for duplicating this look. 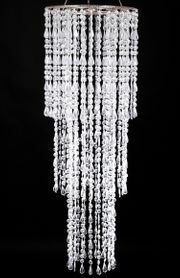 Large Clusters of Chandeliers: 4pcs - "Quinn" Chandelier 1pcs - "Lafayette" Chandelier. To make a cluster of chandeliers, place the longer "Lafayette" Chandelier in the center and place the 4 "Quinn" Chandeliers around it. 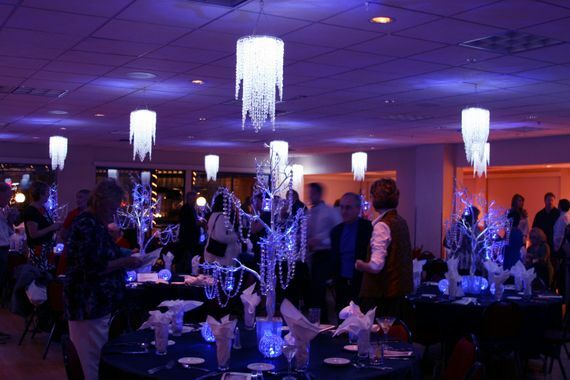 We used 6 Floralyte Submersible LED lights per centerpiece. There were 3 in the tree and 3 on the table. 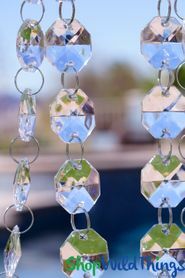 We did not use water, but these do look fantastic suspended in our Jelly Decor/Water Pearls too! You might even use them in your floral arrangements. 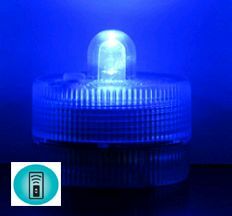 A new option for the BLUE Led Lights that we put in the candle holders is the "Point and Party" Remote Control LED Submersible lights called "Sumix 1". 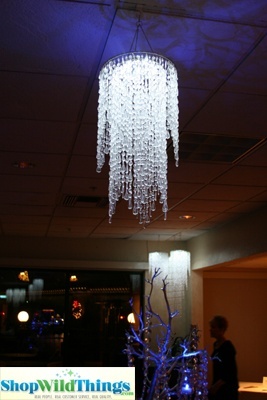 These lights you can place in the displays and use a remote to turn them on before your event. The standard Submersible Floralytes can also be used. You just twist them on or off. We do NOT use off-brand LED lighting for our events. 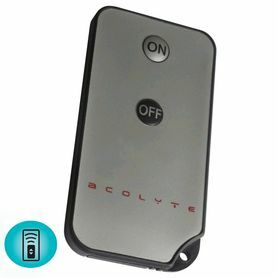 We trust Acolyte to light brightly, and for the colors to match. If you think you can use cheaper LED lights, please consider that the hues of the lighting will PROBABLY NOT match!